Why did the possums cross the road in Albany? 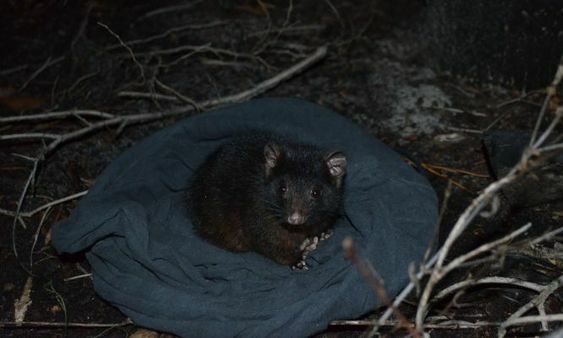 Bronte Van Helden, UWA Albany science honours student, spent long nights stalking possums in search of an answer to that question. Once widespread across south-west WA, western ringtail possums, Pseudocheirus occidentalis, are an endangered species. Habitat loss and fragmentation has reduced their range by up to 90%, according to DPaW. While they are a common sight in urban bushland and backyards in Albany, possums often end up as roadkill while crossing roads to forage for food or seek shelter. “Road strike is also thought to be a growing problem,” she says. 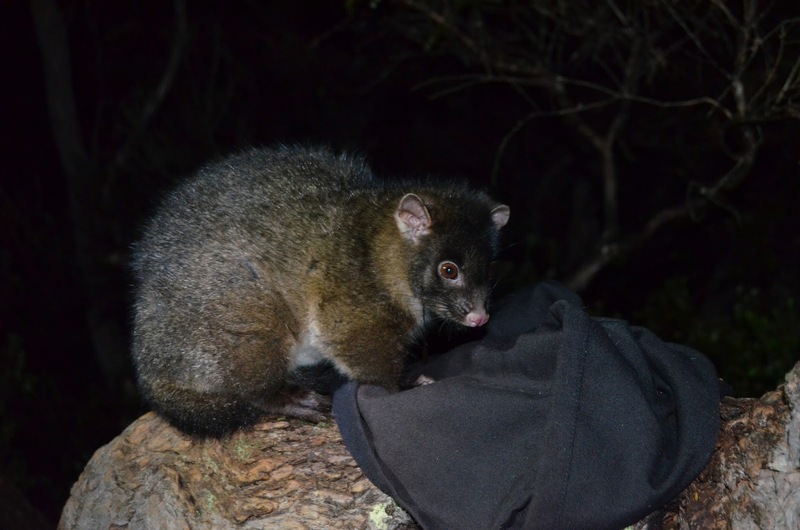 To find out how far these possums roam, Bronte led the first comprehensive study of western ringtail possum habitat use in Albany. Albany is home to one of WA’s three stronghold populations of western ringtail possums. Not much is known about the local group compared to the other two stronghold populations at Busselton and Manjimup, Bronte says. She suspects this is because possums are “notoriously difficult to capture” and a tougher task than she imagined. Bronte traipsed through remnant bushland on Mt Clarence, Mt Adelaide and Mt Melville on winter nights. Sometimes it took until 2am to spot, capture and collar an adult possum without young. 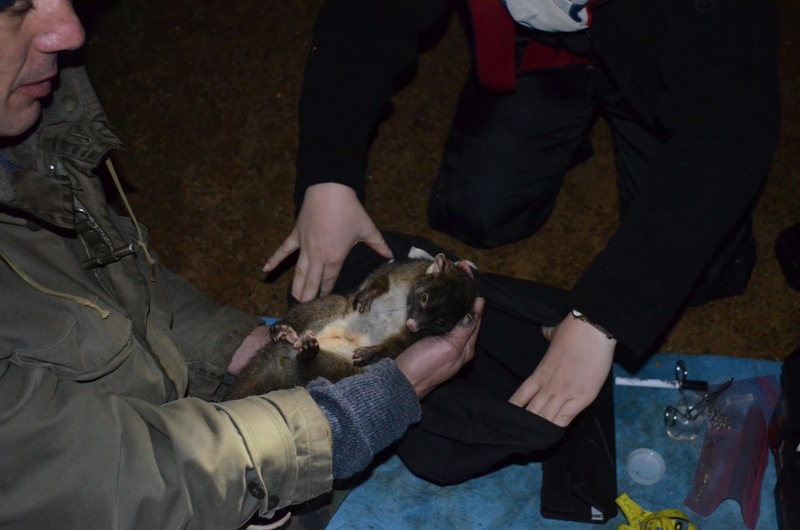 A DPaW ranger shot a tranquiliser dart into the possum’s rump and the sedated marsupial was caught in a ‘landing blanket’ as it fell from the tree. 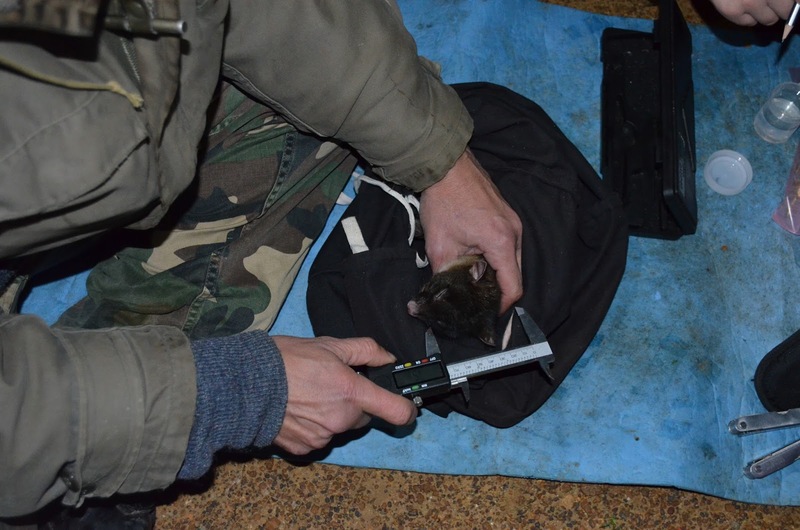 Nine possums were captured, weighed, measured, fitted with tracking collars then released. 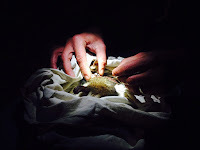 Adult western ringtail Fitting radio collar to a possum being released. captured possum. HOW FAR DO POSSUMS ROAM? Tracked possums’ movements across Albany suggests they stay close to home. GPS loggers on the collars recorded their position every 15 minutes from 5pm to 7am and every 30 minutes between 7am and 5pm. 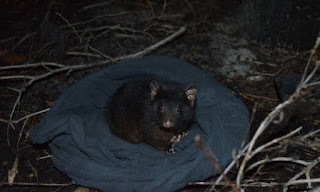 Bronte found that Albany possums roam just under a hectare, similar to Busselton possums, but much less than Manjimup possums who travel up to 2.5 hectares. The possums weren’t crossing the road as frequently as Bronte expected. She says the possums’ small home range could be because remnant bushland provides plenty of resources so they don’t need to go far. She also tracked the possums on foot to see what trees they hung out in during the day and night. “The Albany possums’ habitat use is quite unique,” she says. The Manjimup group choose the same trees but prefer hollows to dreys, while Busselton possums use dreys but live in peppermint trees. This indicates the groups are quite flexible to their environment, Bronte says. 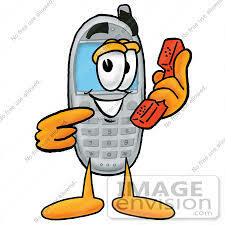 The next step is to work out how many possums call Albany home, Bronte says. “From what I saw… there seems to be a lot, but density estimates are currently a work in progress,” she says. Bronte says her study could help conserve the endangered species. The City of Albany, Department of Parks and Wildlife and Oyster Harbour Catchment Group supported the study.